In prison, Michael Angel Monsivais saw a huge need. And instead of waiting for someone else to fill that need—the warden, the BOP, the government—he took matters into his own hands. Everything was going good. I was making good money on some pretty big projects. Then in 2008, the recession hit. I was laid off and back to square one. Unable to find work and falling behind on my child support, bills, and living expenses, I made the terrible mistake of resorting back to drug dealing. I was picked up on a federal indictment and sentenced to 130 months for conspiracy to possess and distribute a controlled substance (38 grams of methamphetamine). In prison, I began spending time in the prison law library. 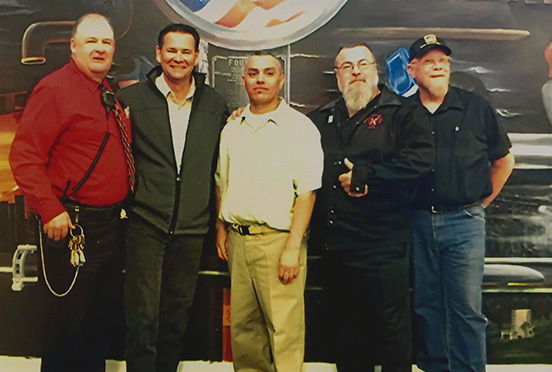 As a regular, I became familiar with the inmates and the education department staff. During conversations, I learned of the institution’s interest in creating a new vocational program. I began sharing my welding experience, knowledge, and background. I told them about the Southern California Piledrivers Union and various other unions for welders. Eventually, I proposed a vocational welding program as a step to rehabilitation and opportunity. I told the education staff that a majority of unions have a “Joint Apprenticeship Training Committee,” which provides on-the-job training to new members for their particular trade. These trades pay well even at the entry level. It is also the perfect career for someone with a troubled past since the trades do not require a background check or discriminate against individuals with criminal histories. What they want is a skilled and reliable worker. I wrote a comprehensive proposal that included career opportunities, curricula, budget, materials, and a plan of operation. The shop was built from scratch for inmates by inmates, saving the Bureau of Prisons over $100,000 in labor. Education Department Administrators liked my proposal and took it up the chain of command. From the warden to the regional office then to headquarters in Washington, D.C., my proposal was granted and funds were allocated. Allen Hancock Community College won the contract to make the program accredited. With the college instructor, I taught and trained numerous students. This program has the highest sign-up rate in the entire complex and is the only program offered that provides National Industry recognized certification. I also developed for the prison several Adult Continuing Education courses. Once the vocational and educational programs were up and running, I presented to the Educational Department administrators a proposal to create a Building Trades Career Exposition. I explained that we needed to not only provide students with a meaningful and marketable skill and trade, but also give individuals the necessary information so that when they do return back into the community they know how to seek employment in the field. Most of the students in my classes did not even know that they could join a labor union, thinking that their criminal histories would exclude them from such opportunities. So what could be better than to have representatives from these industries come and speak directly with these men about their particular trade, and at the same time, inspire these individuals into pursuing a brighter future? On December 19, 2013, the Education Department staff held the first Building Trades Career Fair. Special invited guests from various niches of the industry came and spoke to the students about current welding trends and employment opportunities, conducted demonstrations and workshops on cutting-edge techniques and equipment, and handed out brochures and pamphlets. The event was a huge success. The American Welding Society published an article about the event in their monthly Welding Journal. The warden reaffirmed the institution’s commitment to providing meaningful vocational training to the inmate population. On July 17, 2014, it was a nice surprise to receive recognition and acknowledgment for my work on these programs when, at the institution’s Graduation Ceremonies, the Education Department administration announced that I was their Employee of the Year for my hard work, dedication, and sacrifice. Then, in February of 2015, the American Welding Society gifted me all the books and study guides needed to prepare for the Certified Welding Inspector/Educator exam, which I plan to take once released back into the community. I was very grateful. The materials cost in excess of $2,000, a valuable contribution to my success that I intend to use to help others. From the first time I started working on this program until today, it has been a long road. 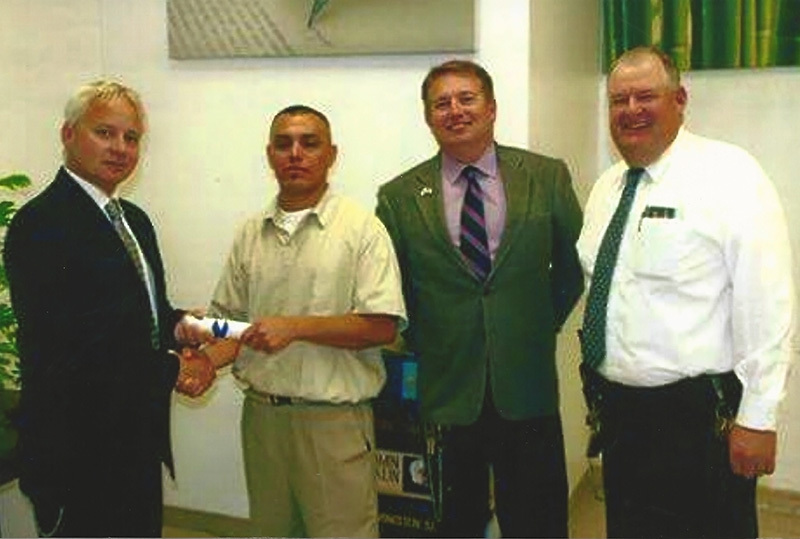 The federal prison system now has a national, industry-recognized certification program at the Correction Complex at Lompoc, California. I have found great pleasure in helping those who chose to participate in the program to become skilled welders and to share with them all of my own knowledge and personal field experiences. I am grateful to have aided these individuals with other necessary skills, such as the importance of proper communication, both written and oral, people skills, interview skills, and the importance of teamwork. I also have given up a great deal in order to stay at this facility to help develop this program. I have given up opportunities to transfer to a location much closer to home that would enable me to receive visits from family and friends. At my location, it is too far and too expensive for my family to travel, because I come from a low-income family with unreliable transportation and finances. I have not seen them nor my children in over six years. In the process, I also lost the relationship I was in prior to my arrest, due in part to the separation. I have also given up the opportunity to live at a much lower security level facility such as a camp. I also had to endure the loss of my grandmother, my closest relative. I received notice of her passing just 15 minutes before my first Introduction to Welding class was to begin. I somehow managed to go on and teach the class. When I return back to society, I would like to do more with myself than simply going back to work in my trade. I know it will be a bit difficult at first. I lost everything I have ever owned after my arrest and incarceration. I will come out with only the clothes on my back and not much else. However, once I am stable, I would like to become involved in my community and help out the younger generation, who are at risk of falling victim to gangs, drugs, and street violence. I hope to do what I was able to do in here (prison) out in the community and start a special program for these youth and ex-offenders. I first began working on the vocational welding program in May of 2012. There were many delays, setbacks, and obstacles. There were times when I honestly felt I was fighting a losing battle. Yet, because of my determination, today at the prison we have the program I first envisioned and presented to the administrators. Now, this program will be here for many years and change countless lives. I can also say I turned something negative (my incarceration) into something positive, and have given back something very beneficial, a program that has a very strong likelihood of helping prevent recidivism for those like me, who desire to change their lives for the future.